Great Bathroom tiler in Adelaide. Dale organised everything and made my life easy. His workmanship is second to none! Thank you Perspective Tiling. 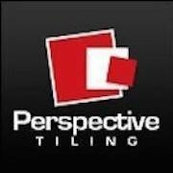 Best Bathroom Tiler Adelaide has to offer, will recommend! Our bathroom renovation came up exactly if not more than what we expected. Thank you Dale. Very Impressed with Dale's efforts on my bathroom at Daw Park S.A. Will Recommend to all of my friends. Thank you. Thanks Jenny, I'm really happy I could provide a good result. Honest valuable feedback like this is always good to see. It was a pleasure working with you. I just want to thank Dale for the awesome job he did on my total bathroom reno. He demolished my old bathroom and transformed it completely. I love it! Thanks for such friendly hospitality Varinia. I'm glad you got me back to complete your bathroom renovation and both jobs you were happy with.